A top six comprised of four first round picks. 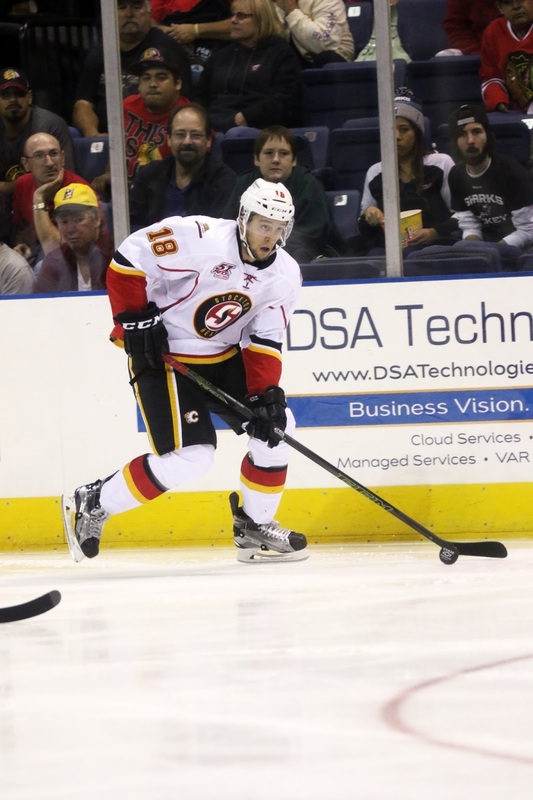 For Stockton head coach Ryan Huska, there is a good chance the Heat will open up the 2016-17 season with the rare luxury of having a stacked group of forwards, at least on paper, anyway. Barring a surprise at training camp, 2012 first rounder Mark Jankowski will be joined up front on the Flames AHL affiliate by a trio of first rounders from 2013. Having already taken an in-depth look at Jankowski's inaugural eight-game stint in the AHL late last season, now it's time to check in on how the season went with the other three that were taken in a span of seven picks late in the first round of 2013. 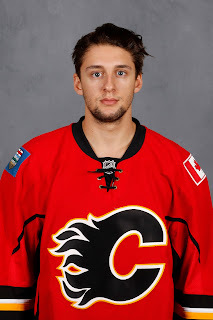 Morgan Klimchuk, Calgary’s best hope of salvaging something tangible from the trading away of Jarome Iginla three years ago, finished his first season of pro hockey with just three goals and nine points. That's right, less than 10 points in 55 games. Yet Huska says don’t be too quick to pass judgement on the 21-year-old. "When you look at his stats, a lot of people from the outside will probably say it's not quite the year you hoped he would have had, but I thought he had an unreal year," Huska insists. "A lot of the things he did away from pucks, learning how to compete against bigger people, went in the right direction all year to the point where by the end of the season, he was one of our top two penalty killers. If we were up, protecting a lead, he was always a guy that was on the ice." It’s not the role we’re accustomed to seeing Klimchuk cast in. This is someone who scored 100 goals over his final three seasons of major junior and averaged 1.2 points per game over that span. Yet to make it to the NHL, the areas of his game he improved in are areas that are important and getting good at those defensive details should serve him well moving forward. "You don't win without people that understand the game and are willing to put themselves in roles that are maybe not the most glamorous such as penalty killing or playing in a checking role, but every day, Morgan was committed to making himself better," Huska says. "He has a very good understanding of the game and has turned himself into a much more complete player. That said, it wasn’t an easy season. Twelve games without a point to begin the year. Then no goals and only four assists over his final 33 games. It’s just not the production one comes to expect from a first round pick. Huska points out that as the season progressed, despite not ending up on the scoresheet, the scoring chances did start to come for Klimchuk. "He was generating more plays with his linemates and we were using him with more offensive players,” he said. “For us, we're just trying to make sure that he understands that he was going in the right direction and in my opinion, I think you'll see a significant change next year with him." 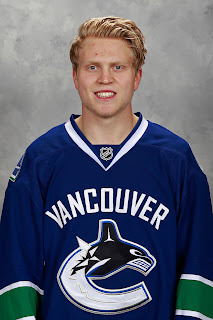 Working our way backwards, selected four picks earlier by the Vancouver Canucks in 2013 was Hunter Shinkaruk. 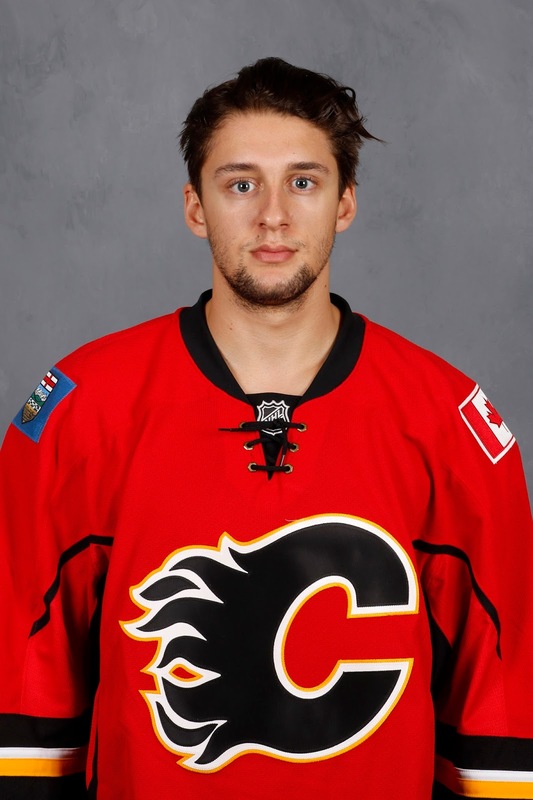 He's another guy that like Klimchuk, played his minor hockey in Calgary. 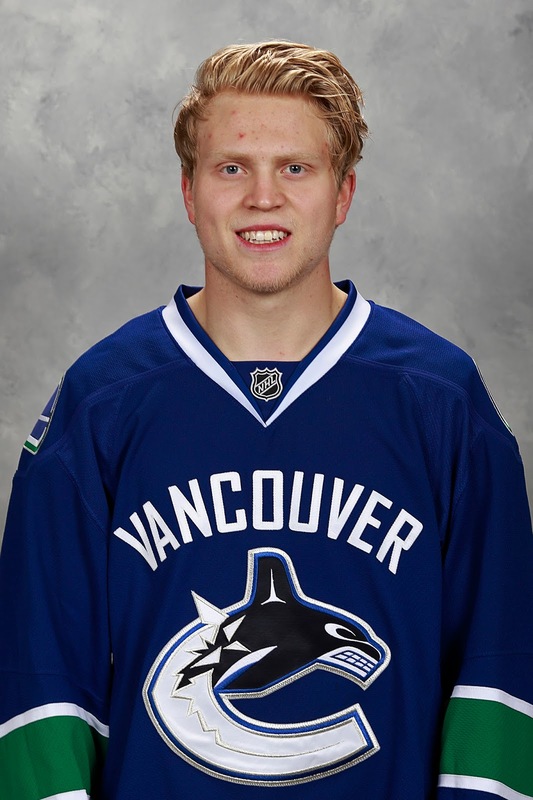 Shinkaruk came over to the Flames in February in a swap for Markus Granlund. Flames fans got to see Shinkaruk up close for seven games as once he got called up and inserted into the line-up in late March, his impressive play in which he scored twice and had three points kept him there for the duration of the season. After coming over from Utica, the Canucks AHL affiliate, Huska had Shinkaruk for 17 games and he liked what he saw from the 21-year-old, who had six goals and 12 points for the Heat. "The thing that we really liked about him and why we enjoyed having him around was he has a passion for the game,” says Huska. “He goes to the net hard, he was taking hits, he was giving hits, he plays the game with some fire." That's consistent with the style of play he brought to Calgary when he got called up. "I was impressed with him both as a player and as a young man,” Huska says. “He wants to do well and he'll drive the net knowing full well that he might take some punishment but those are the types of guys that end up scoring goals." Scoring goals is one of the hardest things to do in pro hockey, but it’s something Shinkaruk has shown an ability to do. In 62 AHL games last year, he lit the red light 27 times. “He likes to score goals. He likes to be around the net and he has that understanding that that's where most of his goals are going to be scored from and if you're going to play in there, you're going to have to take licks every once and a while and in order to gain a little bit of respect, you're going to have to give some back," says Huska. "That could be just a little stick to someone to let them know, hey, you can't do that to me, or hey, I don't care, I'm still going to go to this area. But that's why he's been able to score in junior and I think that's why he was able to score this year at our level and why he chipped in with some offence with Calgary as well." Lastly we come to the guy that was the first to be selected that year, Emile Poirier. Poirier burst upon the AHL scene in 2014-15 scoring 19 goals and 42 points in 55 games. It was a promising rookie season that continued the hype that really started to build after he scored 50 goals in 72 games (regular season and playoffs combined) with Gatineau in his final season of major junior. But his second pro season didn’t go nearly as well, finishing up with just 12 goals and 29 points in 60 games. 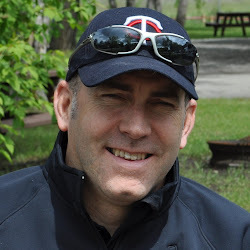 "If you were to ask Emile, he'd probably say he was unhappy with his year," says Huska. "He had a hard time getting going consistently. "When I go back and look at his game last year compared to this year, there were a lot of similarities in regards to how he played. But last year if he would have five breakaways, he scored on three of them. This year if he would have five breakaways, he didn't score on any of them. It seemed to be one of those years where he still had his opportunities but he didn't have the same finish." Poirier's sophomore slump began right away with an unimpressive showing in September at the Young Stars tournament. "He got off to a slow start in Penticton a little bit. It's probably a good learning lesson for him that every day, he's got to make sure he's prepared and focused to go," Huska explains. "You can't take anything for granted because there are always new people trying to push and steal your job. You have to respond and act accordingly. You have to make sure you're better than everybody else if you want to earn that full-time position." Now there were some positive strides taken last year but overall, it was a step-back, which has led to uncertainty about what the future holds for the prospect, who a year ago I ranked as the team's second-best prospect behind Sam Bennett. For the native of Montreal, the bloom is now off the rose. "He improved in a lot of areas away from pucks but now he has a real challenge and he has to use an inconsistent year as a motivating factor," says Huska. "He has to do more now in the summer. He's getting to the point where he's a guy that has to prove to everybody that he's worthy of playing on the Calgary Flames on a consistent basis." 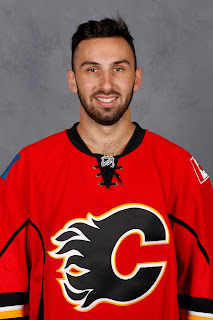 In a surprise move last season but perhaps a calculated one by Flames GM Brad Treliving, Poirier was one of a handful of forwards called up by Calgary in late March. However, as proof of where his stock is at, it was Poirier and not Shinkaruk, who was shipped right back down again when the extra bodies were no longer needed. Shinkaruk made an impact, Poirier did not. Shinkaruk stayed on the NHL roster, Poirier did not. “Sometimes if you do have that success early, maybe you come back thinking it's going to be easy. I know how this is going to work, it's all good. But if that's your mindset, you're asking for trouble,” says Huska. While it only lasted two games, Huska hopes that a couple flights on the luxurious team charter and a few nights at five-star hotels will serve as a reminder -- and more importantly a motivator -- for Poirier as to how close he is, but also how much work he still must do. “A lot of time when a player knows he hasn't had the year he was hoping to have and he gets an opportunity like that, I think it does give them a little bit of a jarring and a reminder that that's where they want to be,” Huska says. “Also, it reinforces to them that they are close but they have to do more. It's not up to the team to give them the opportunity, it's the player that has to find a way to do more to get themselves there. That's really Emile's challenge at the end of the day. He has to have a really great summer, come back with a great attitude and mindset and he has to prove to everybody that his inconsistent year is in the past and he's ready to have a great year coming up." The organizational depth chart is a fluid place. Every year that passes, where players were selected in the draft carries less and less clout and it's more a case of how are they performing. For Klimchuk, Shinkaruk or Poirier, more forwards are coming so it's time to step up or they're at serious risk of being passed. Two new faces in particular that are probably bound for the AHL next year will be OHL scoring sensation Andrew Mangiapane and Stars 2014 second rounder Brett Pollock, acquired from Dallas in the Kris Russell trade. The 20-year-old centre led the WHL's Edmonton Oil Kings in scoring last season. There should be a little bit of opportunity at forward in Calgary in 2016-17. There definitely will be in 2017-18. But we're not talking about four jobs, probably one or two. And it no longer matters that you were a first round pick. If the sixth round pick -- e.g. Mangiapane -- is better, he's going to win that NHL roster spot. While there is reason to be apprehensive about the development of some of these once highly-touted prospects from three years ago, the thing to remember is that these are still young players with plenty of upside. While the clock is ticking, the alarm hasn't gone off quite yet. But at some point, you do stop being a prospect and become organizational depth so the time is now for these first rounders to show why they were so highly touted just three years ago. Did the Flames draft poorly in 2013 with the exception, of course, of Sean Monahan? You might reasonably conclude that the Flames did a suspect job of drafting in 2013 since their two picks - Klimchuk and Poirer - have not accomplished much yet and are not on an upward trajectory. But I just took a quick look at the late first round picks from 2011-2014 and there are not many household names on the list. It looks like the Flames did not miss many, if any, players that other teams picked up after them. Maybe this is just the reality of draft picks, in spite of all of the hype around the whole process. In reality, there are roughly 660 NHL players who are regular, everyday contributors. Between 2011 and 2014, 240 players were drafted in the first or second round. More than a third of the regular NHL players in the league would have to retire to make room for this number of players. So it is not really that surprising or disappointing that not all of these prospects are panning out. You're exactly correct in that get into the late first round and the certainty dies pretty quickly and you're hoping for an NHL player more than assuming you'll get an NHL player. 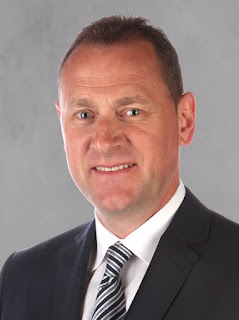 Now I still think fans and the team have grounds to be disappointed as why not be greedy and expect everyone to pan out so you have either star players or valuable assets but the grounded view of those three first rounders (pre-Shinkaruk acquisition) going into that draft is hopefully 2/3. You don't want to miss on No. 6 and you should be delighted to hit on one of the other two. Thanks for the comment. Cheers. Well said! While I think the team and fan base has been particularly patient with this crop of first rounders, the time is approaching to see if these players are able to take the next step. Every draft has different levels of depth, however, being able to give your players time to develop goes a long way in offering the best possible chance of success. If you study the success story's from championship teams, more often than not, the roster is riddled with depth players that were taking deep in the draft. The difference being they were not saddled with un-manageable expectations. Putting a player in the right role to have succes is key, even if said player scored at a point per game in junior, but there game translates completely different at the next level. The hype around the draft is crazy these days with the ability to follow prospects (highlights, watch games online) firing up the fans and the plethora of media and draft pundit websites, etc. You could watch the first two rounds of the draft and come away assuming all 60 should play in the NHL, easily. Unfortunately, you're correct in that it doesn't work like that and the expectations on players now are probably overwhelming in some regards. For me, it comes down to throwing darts once you get beyond the top 10-15. The more darts you throw, the better a couple might hit the bullseye. Calgary threw five darts last year. This year, at this point, they're scheduled to throw 10. This could be an exciting draft for Calgary -- eventually -- because it's quantity from which a couple examples of quality may fall out.